Hit the books with this colorful piece. 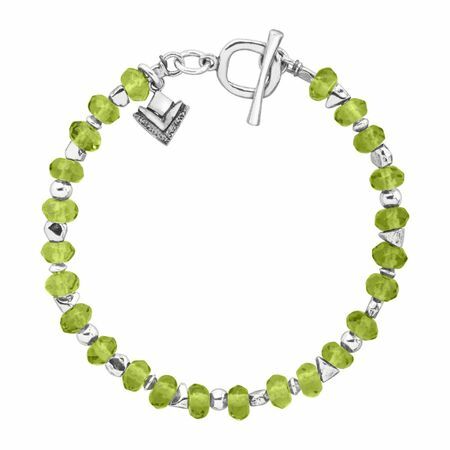 Beads of green quartz are strung side by side on this sterling silver bracelet, perfect for adding a pop of color to your outfit. Bracelet measures 7 1/2 inches in length and features a toggle clasp. Piece comes with a ".925" sterling silver stamp as a symbol of guaranteed product quality.